Do you like KIND bars? They are those super delicious snack bars make of mostly nuts and dried fruit that are perfect to nosh on between meals. I usually have one hiding in my purse. I always carry what I like to call “emergency snacks”. As you learned last week, I don’t like to get hangry. So in addition to eating the right breakfast, I always have snacks on hand just in case. 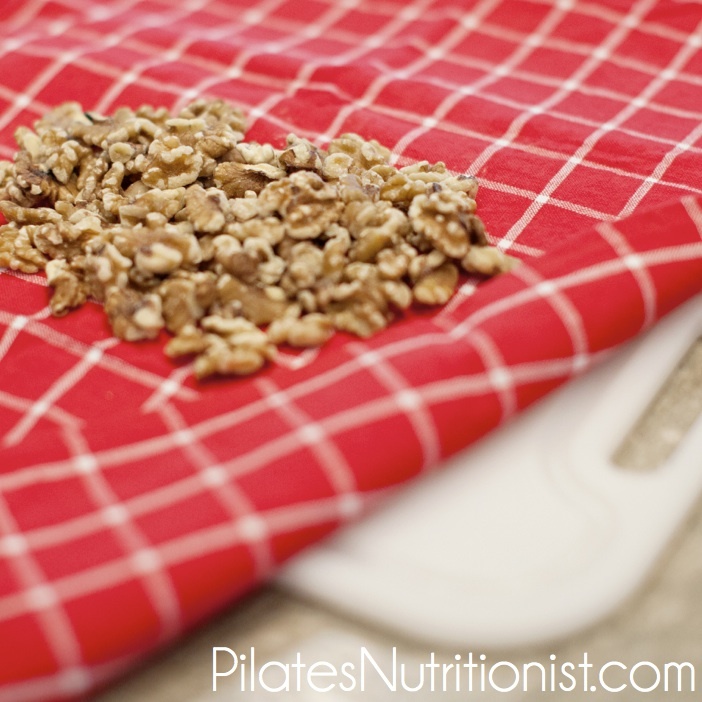 When one of my friends, Alexandra, decided she wanted to whip up batch of homemade KIND bars and wanted to make them healthier, she reached out to me. We thought of calling them UN-KIND bars, but that didn’t sound right. Alexandra suggested KIND (OF) bars. That has a better ring. And it makes me chuckle. On to the recipe development. Yes, I’m a nutritionist… and I’m also a foodie. So these bars had to be good for you and taste good too. She made a couple batches and we played around with proportions and ingredient substitutions. I was always looking to minimize the sugar and glycemic index. Why? Read this. What we settled on has the best of both worlds. We were able to cut down on the sweetener a bit by adding an egg white and some ground flaxseeds to bind it all together. It’s a little sweet, a little salty, and a whole-lotta good for you. 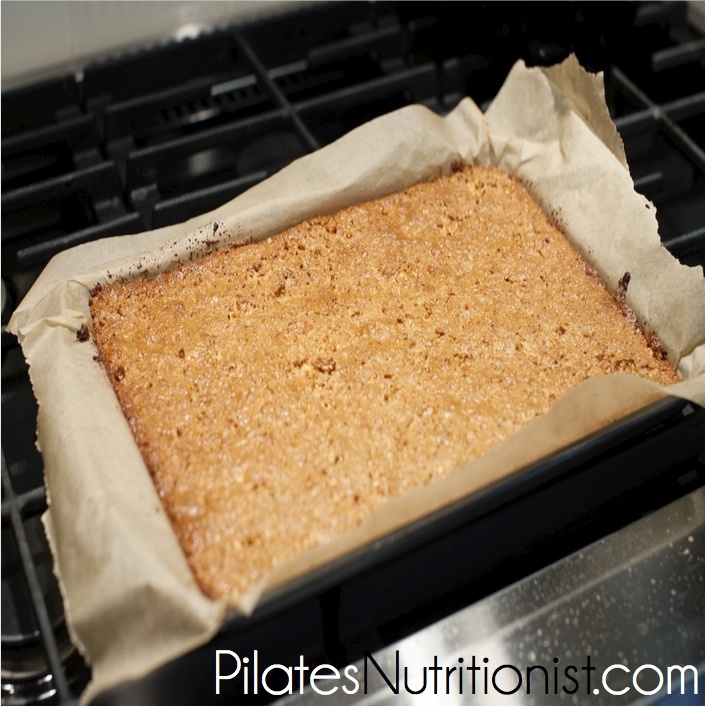 Why our homemade KIND bars… ahem.. KIND (OF) Bars rock? 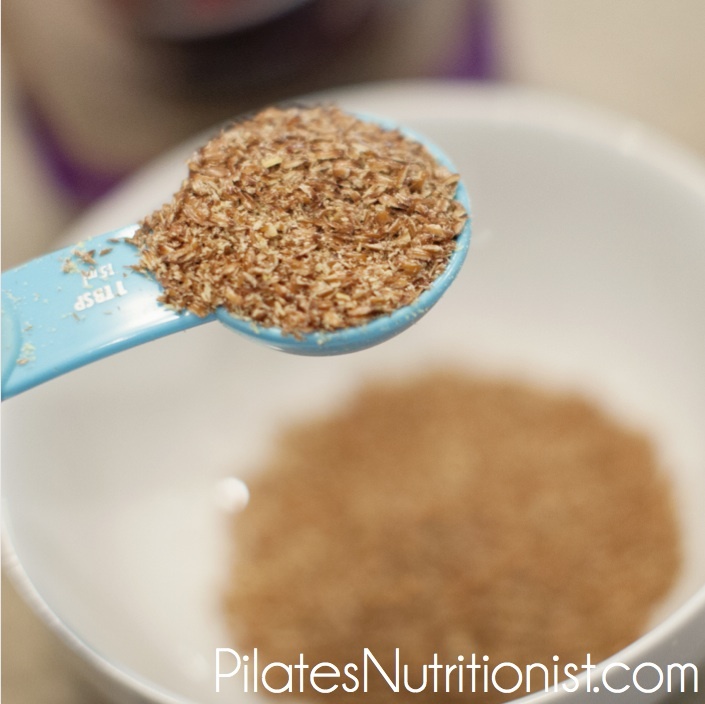 Mix the ground flax seeds with honey is small bowl. 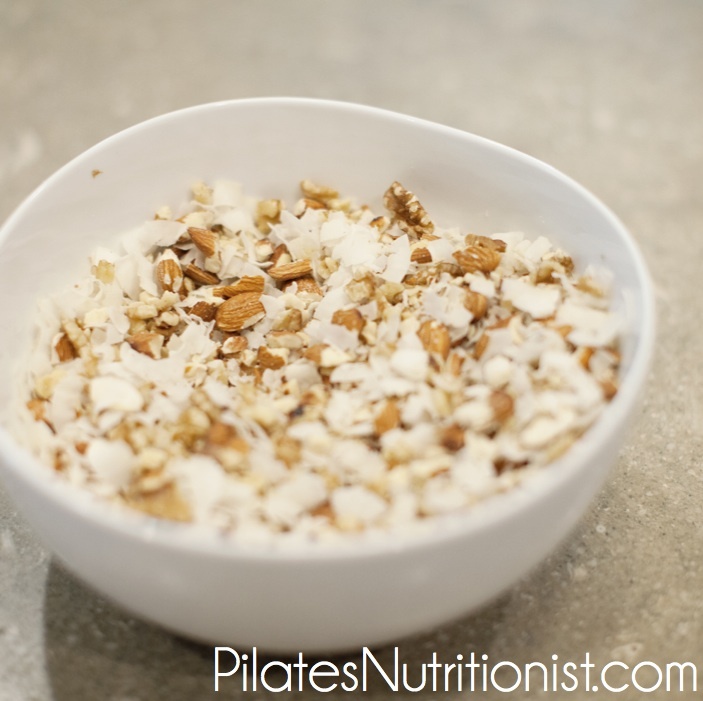 In a large bowl mix the almond pieces, walnut pieces, coconut flakes (large and fine) and salt. 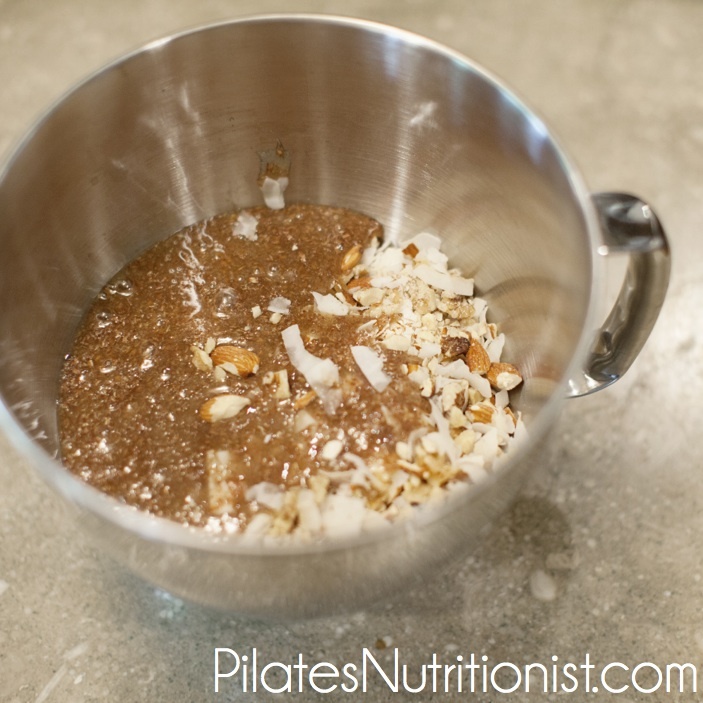 In a mixer (preferably) or by hand, add the honey and ground flax seeds to the large bowl of dry ingredients. 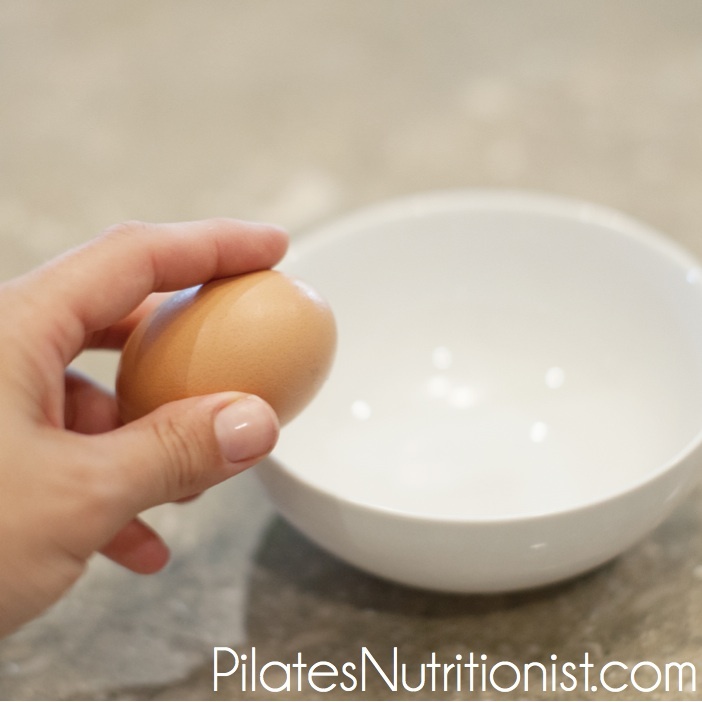 Once the ingredients are well mixed, add the egg white and mix more. 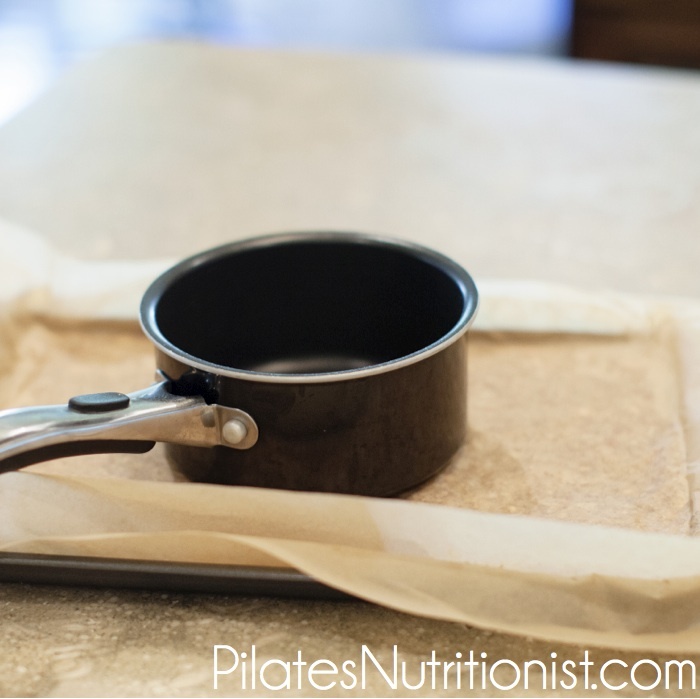 Line a sheet tray with parchment paper and scoop mix onto paper. 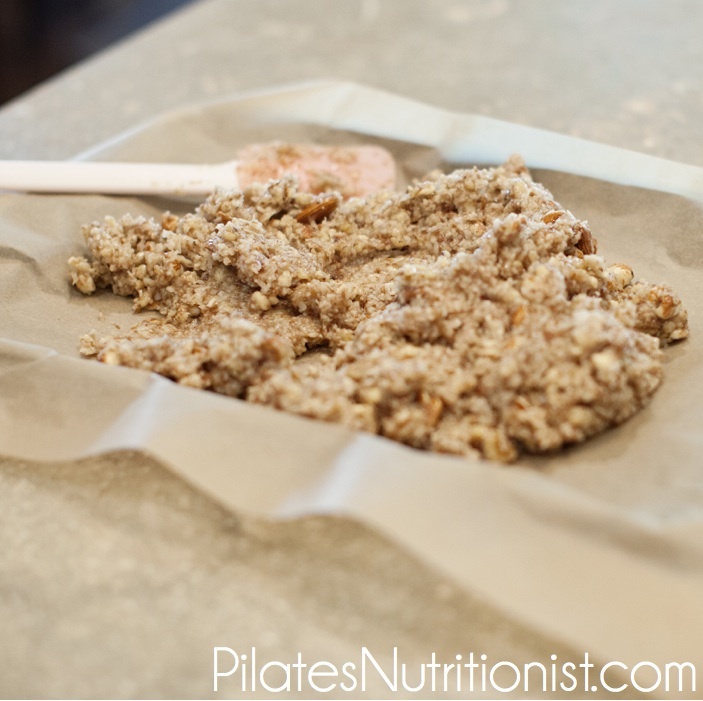 Lay another piece of parchment paper on top of the mixture and with your hands spread it evenly on tray so that it extends all the way to the sides. 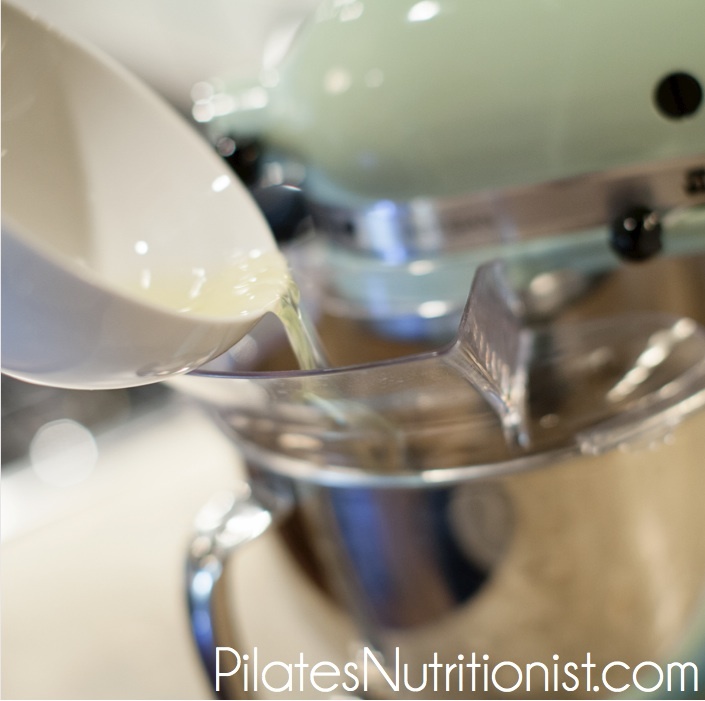 Press the mixture down firmly with a flat surface - like the bottom of a small pot. Remove top layer of parchment paper and place in oven. Bake for 24 minutes, rotating the tray at 12 minutes. If you’re wondering why these photos look so amazing, it’s because Alexandra is a professional photo-editor. She also happens to be a fellow Pilates teacher. A dynamic duo, no? If you liked this post and want more healthy recipes and nutrition tips, be sure to share it with your friends and sign up for email updates. 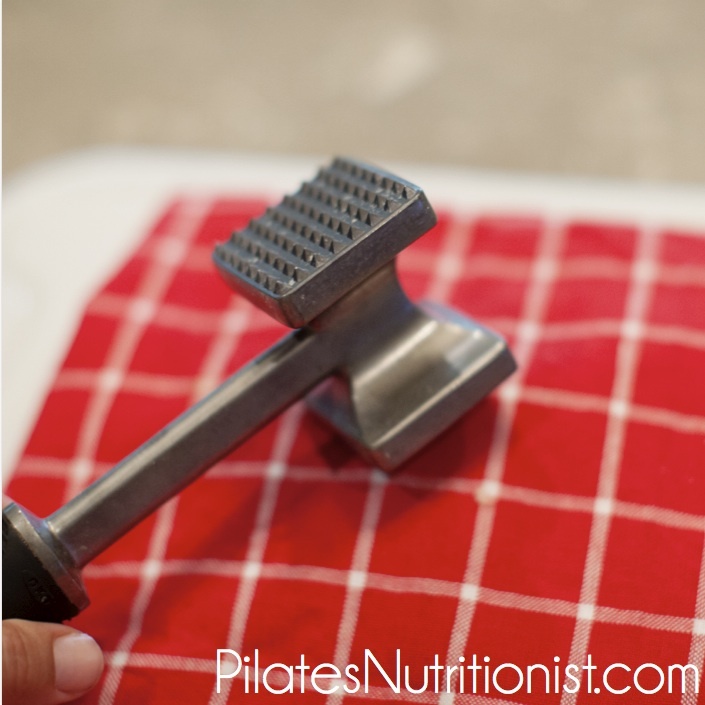 But before you get started on making homemade KIND bars, I’d like to hear from you! In the comments below, share: 1) Your favorite KIND bar flavor 2) Your go-to snacks for busy days. So what would be a good substitute for the walnuts for those of us who are allergic to them? 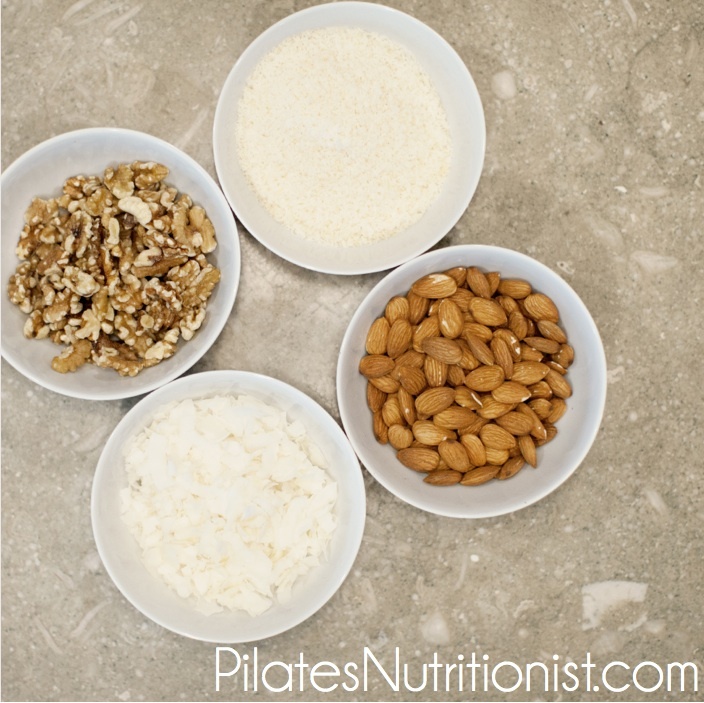 You could add more almonds or use any other kind of nut. Cashews or macadamia nuts would complement the other flavors well. What’s the nutritional value for these? Like calories and protein? I’m buying nuts in bulk just for this! Hi Ana! Let me know how they turn out! You’re welcome to run the recipe through nutritional analysis, such as nutritiondata.com or others. Just input all ingredients and measurements, then divide by the total number of bars you want. Personally, I don’t choose to calculate the numbers, particularly calories, for reasons I explain in this article. I gave these a try, but the 24 minute cook time seems too long. I had hard, somewhat charred bars/chunks (still tasty, just not what I hoped for) Granted, I didn’t have parchment paper on hand, so maybe that was why! Also, how thick do you make them? and what size tray did you use? Perhaps mine were too thin too?